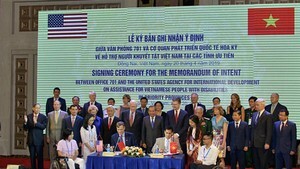 Australian Foreign Minister Stephen Smith affirmed that Australia and Viet Nam currently have close and vigorous relations, which, he said, can be expanded in many areas. At a meeting with Vietnamese National Assembly Chairman Nguyen Phu Trong in Canberra on March 13, Minister Stephen Smith noted that Australian investors want to invest in Viet Nam’s mining, finance and services. The Australian FM highly appreciated the role of the Vietnamese community in Australia in promoting exchanges and mutual understanding between people of the two countries. He also and stressed that his country is ready to help Viet Nam in the international integration process and national development. 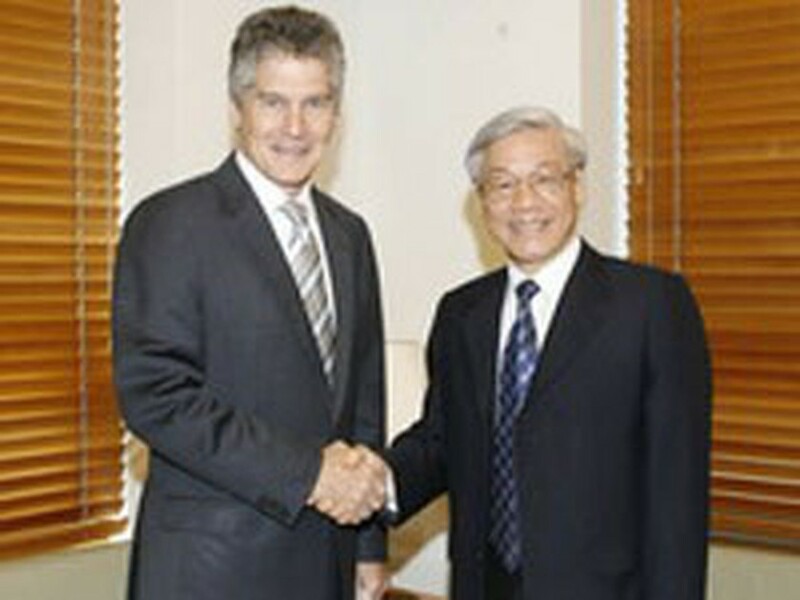 Chairman Trong said Viet Nam hoped to boost cooperation and equal relationship with other countries, including Australia. The same day, Chairman Trong and his delegation met with Katy Gallagher, Deputy Governor of Canberra, who noted that about 4,500 Vietnamese are living in the capital city. The Vietnamese have made positive contributions to the locality’s economic and cultural development, she said. In the afternoon, Chairman Trong and his wife and delegation left Canberra for Sydney, the capital of New South Wales State.